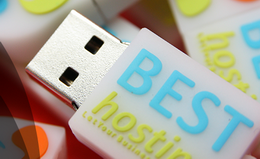 Flash drive for free | BLOG BEST-HOSTING s.r.o. Do not miss the 10% discount for everything, which can be found on our Facebook profile. Enter a discount code in the shopping cart with your order and it will be immediately deducted from the final amount of. Discount code can be canceled at any time, so do not hesitate and order now. Discount code and a gift for your order also applies to converting your webhosting to us from the competition, so do not hesitate to convert your site to us. Save for webhohosting, also get a gift and you can be sure that your site is running on the latest hardware in the Czech Republic.